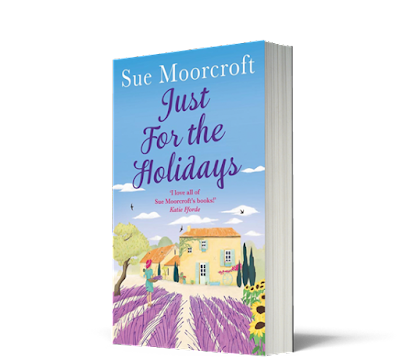 Welcome to my stop on the Blog Tour for Just for the Holidays by Sue Moorcroft! How pretty is this cover? So gorgeous and summery! A glorious summer read, for you to devour in one sitting - perfect for fans of Katie Fforde, Carole Matthews and Trisha Ashley. 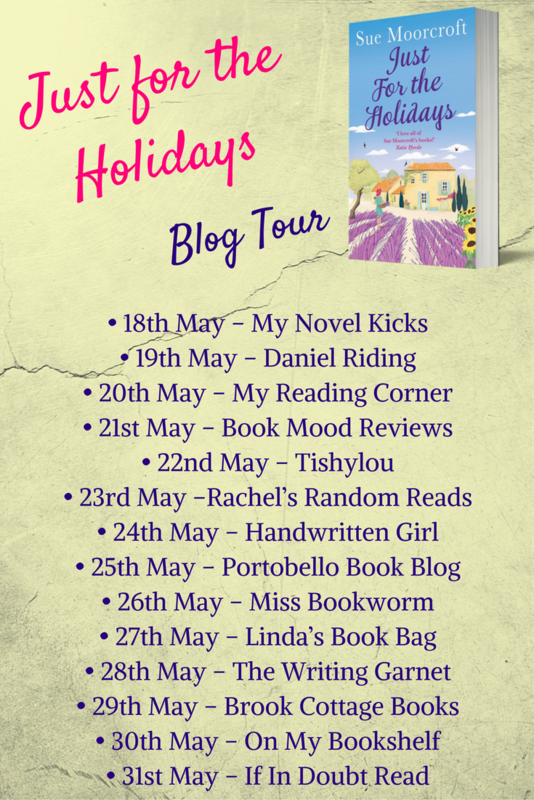 I'm so excited to have this extract on my blog today! I can't wait to read the rest of this book! It sounds perfect for sitting in the garden with a cold drink while the sun shines! ‘Sorry.’ Leah backtracked hastily as her sister’s face crumpled into a still more tragic mask. 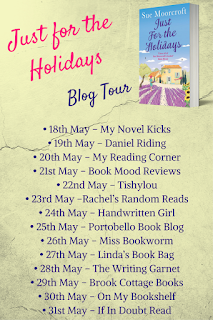 She did love Michele, no matter how much they jokingly referred to themselves as ‘Chalk’ and ‘Cheese’, Michele being eight years older, the very married and motherly Mrs Milton; Leah the resolutely single and child-free Ms Beaumont. Michele having a sensible job in teaching; Leah having what Michele termed ‘a silly job’ in chocolate products – though it paid better than Michele’s sensible one. Despite having the bossy and manipulative tendencies that she seemed to feel the right of an elder sister, Michele had also stuck up for Leah a million times and provided whatever was needed in the way of bolthole, wise counsel or shoulder to cry on. Leah ignored the whiff of reproach. Her claiming La Petite Annexe would force Alister and Michele into prox­imity in the main house. Maybe Michele’s uncharacteristic decision to hurl her family into upset and confusion might yet prove to be a feature of early-pregnancy hormones? Away from the daily stresses of home, of Michele being a teacher and Alister a head teacher, things might improve. Then Leah could quietly pack up her car and give them privacy to realign their relationship. Behind her back, she crossed her fingers. Thanks so much to Sue Moorcroft for allowing me to share this with you! Thanks to Sabah Khan at Avon Books for all her hard work on the tour. Congratulations on the new book, Sue! Thank you for hosting, Tishylou! 😊 It's a pleasure to share a glimpse of my new book.